CES organizes various evaluation events, the most important being the annual evaluation conference where good practices from different areas, new methodological approaches and international experience are being shared. CES also sponsors a professional peer-reviewed journal The Evaluation Theory and Practice, the only journal in the Czech Republic dedicated to evaluation. For more information, contact Jiří Remr. CES offers the following accredited training programs for public employees: Introduction to evaluation and Evaluation planning and management. It also organizes various types of trainings for evaluators as well as evaluation sponsors. The trainers are experienced evaluators both from the area of development cooperation and from the European Union structural funds. 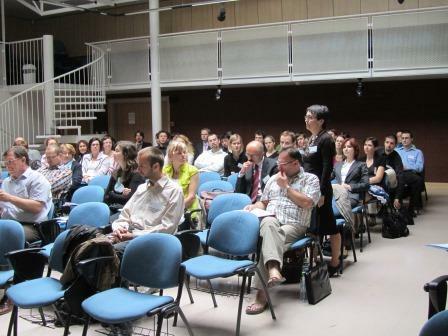 CES also participates in the organization of the international summer evaluation school EPDET (European Program for Development Evaluation Training) offering training by top foreign evaluation experts. For its members, the CES provides comments on evaluation tender documentation, methodological approaches and other issues. For more information, contact Lucie Bučinová. CES promotes quality evaluations through professional discussions held with evaluators and evaluation sponsors. For this purpose, CES introduced, inter alia, the Formal Standards of Evaluation, Evaluator’s Code of Ethics and peer review, i.e. the mutual evaluation of evaluations carried out by CES members among themselves. Based on a continuous assessment, CES generates summaries of the state of evaluation in the Czech Republic. 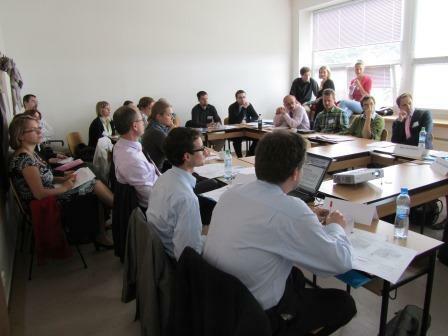 CES also participates in evaluation working groups of different Czech ministries. It may comment on methodologies, evaluation reports and the like. For more information in the area of structural funds, contact Vladimír Kvaca. For more information in the area of development cooperation, contact Daniel Svoboda. For more information regarding the peer review, contact Daniel Svoboda. CES shares its experience relating in particular to the European Union programs and international development cooperation programs in international associations of evaluators, among them the European Evaluation Society (EES), International Development Evaluation Association (IDEAS) and other networks. 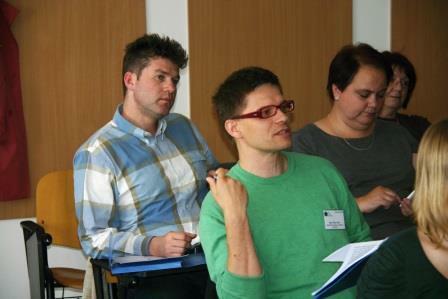 CES through its membership in the Network of European Evaluation Societies (NESE) collaborates with other evaluation societies in Europe in the preparation and implementation of joint activities and research in the area of evaluation competencies, methodologies and recommendations. For more information on partners, click here. For up-to-date information, contact Jiří Remr.